Animal abuse is a crime prosecuted on the state level, but way too many states are failing to pass tough laws that will protect animals. In some states, abuse must fall into very specific categories to very specific animal types to be considered a felony. In other states, abusing an animal isn't a felony at all. Too often, perpetrators of animal abuse get off with a small fine or slap on the wrist. From sea to shining sea, we need to protect animals in the United States. We need to call on state legislatures across the country to tighten their animal abuse laws and keep animals safe. 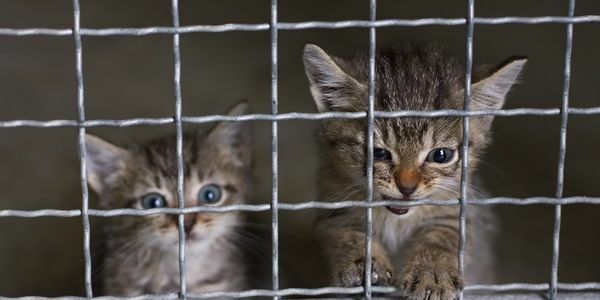 Before now in Virginia, animal abuse could only be considered a felony if the animal in question died from the torture. Now they've passed Tommie's law—in honor of a pit bull who was burned to death—that makes animal cruelty a felony. We need more states to follow Virginia's lead. Will you stand up for our animals by signing this urgent petition to call on state legislatures in all fifty states to examine, and tighten, their animal cruelty laws? Animals who are being abused cannot speak up for themselves. They need you. Will you stand up by signing now?